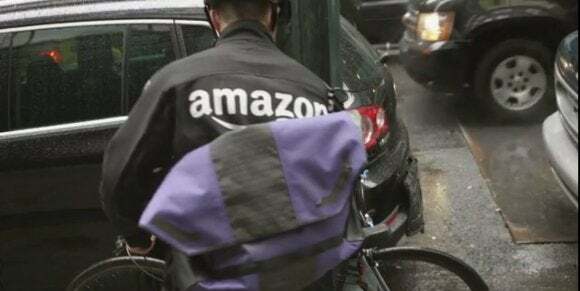 Earlier this month reports surfaced that Amazon was testing out a new bike delivery service in Manhattan called Amazon Prime Now. On Thursday, Amazon officially announced the service. Prime Now is available only to select areas of Manhattan and—as the name suggests—it's for Prime members only. Amazon says it will expand the service to more cities in 2015. 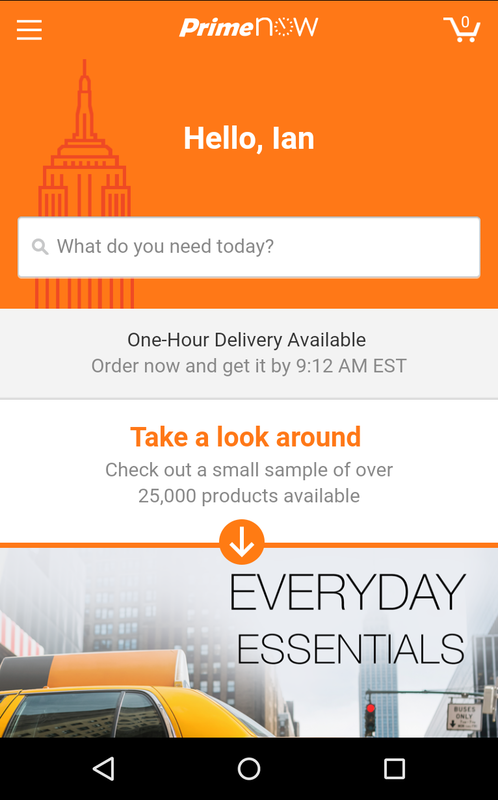 Amazon Prime Now for Android. The story behind the story: Amazon is at the forefront of trying to create the same immediate gratification you get from buying something in a store by making deliveries for Internet purchases land at your doorstep lickity-split. That may be pushed along in part by potential competitors like Google Express. But new features like Prime Now also add more value to having a Prime membership, which convinces people to use Amazon more often, which is Amazon's main goal. To use Prime Now, members download a special app for Android and iOS called, you guessed it, Prime Now. All orders are made through this app. At this writing the app offered a variety of items, including toiletries, basic groceries, and USB cables. You can also get tech like the Amazon Fire TV, Kindle Fire HD tablets, and headphones. Amazon says there are over 25,000 products available for Prime Now. Once the ordering is done, Prime members can decide on one-hour delivery, which costs $8, or free two-hour delivery. Amazon didn't say which areas of Manhattan are currently available, but the app will let you know if you're out of range. Chances are that anyone living in the upper extremes of the island won't be seeing Prime Now anytime soon. All deliveries are dispatched from Amazon's new building on 34th Street. Amazon's announcement did not specify daily cut-off times for the new delivery service.